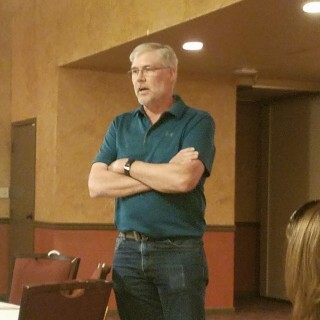 Jeff Kava, Western Sugar Factory Manager, and Michael Ann Relka, Western Sugar Agriculturalist, presented to the Scottsbluff-Gering Lions Club on June 6th to discuss the Scottsbluff factory’s expansion their outlook for the coming year. The Lions Club is an international organization who works to fund eye glasses and hearing aids to those who have impairments. They also provide screenings for eye exams and hearing tests. Copyright © 2018 Western Sugar, Web Development by NewMedia. All rights reserved.